I was fortunate enough to attend Club BRP where Can-Am unveiled their highly anticipated Maverick X3. 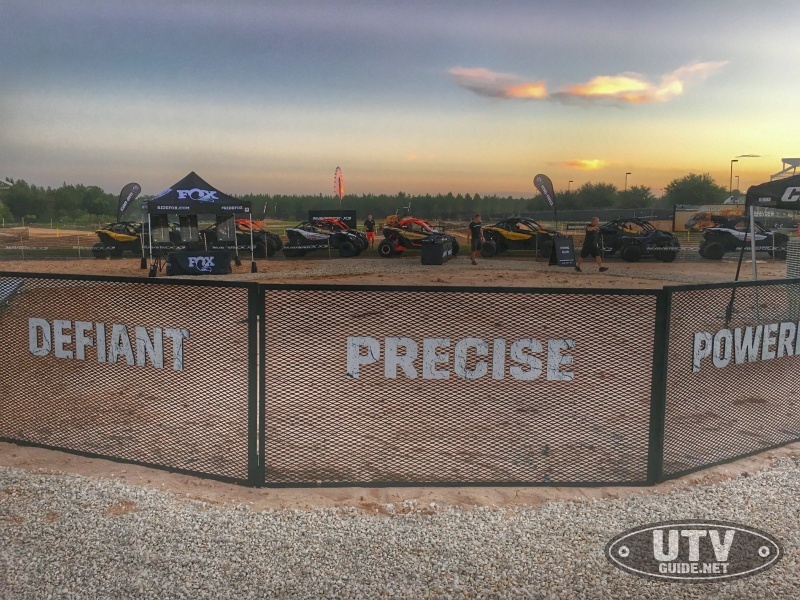 While the event was geared towards dealers, a handful of media were invited to get a hands on look at this game changing new UTV. The Maverick X3 pushes the envelope to new heights with the highest horsepower of any UTV thanks to a new turbocharged and intercooled 3 cylinder engine. I am sure the 154 horsepower number will be toppled soon enough, but that isn’t what impressed me most about the Maverick X3. The Rotax ACE 900 is part of a larger family of engines built by BRP for their Ski-Doo, Sea-Doo and Spyder. ACE stands for “Advanced Combustion Efficiency” and the ACE 1330 is used across multiple BRP platforms. 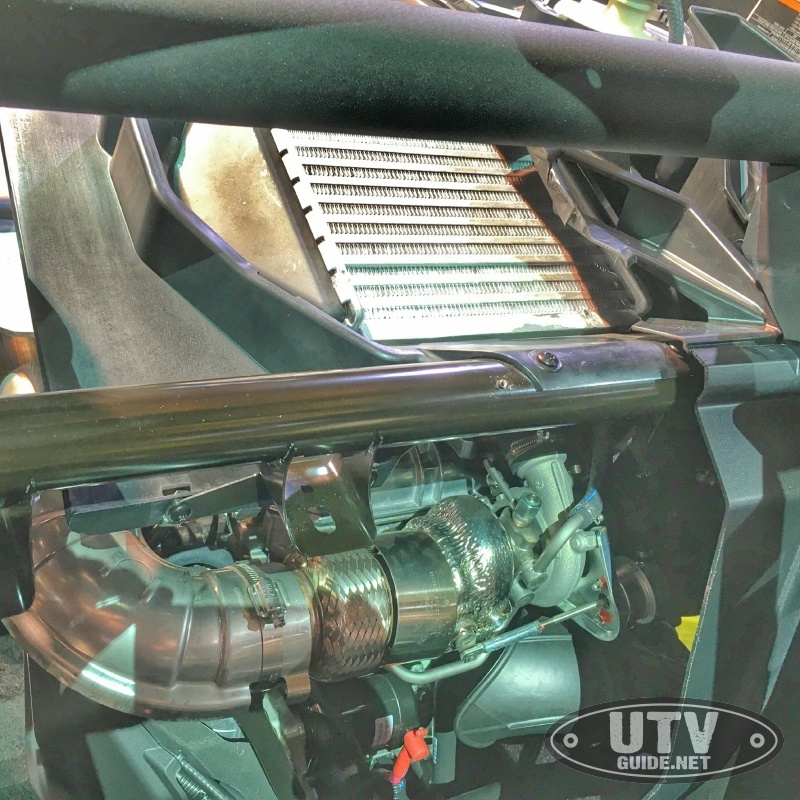 It will be interesting to see what aftermarket can do to bump things up from the 154 Horsepower level! 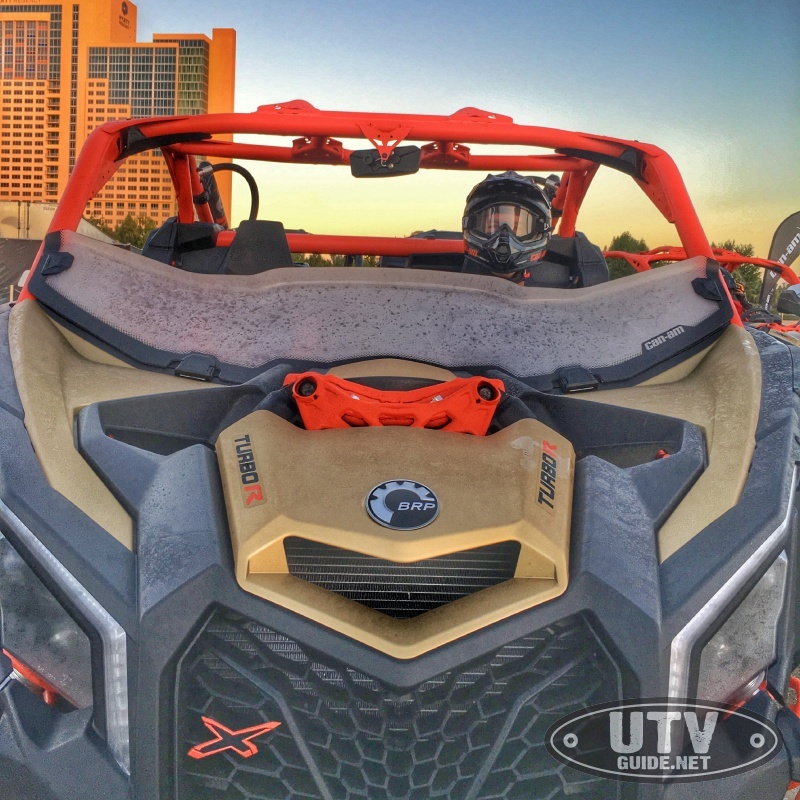 Their desert and dune version dubbed the Maverick X3 X rs is clearly geared towards the Southwest. 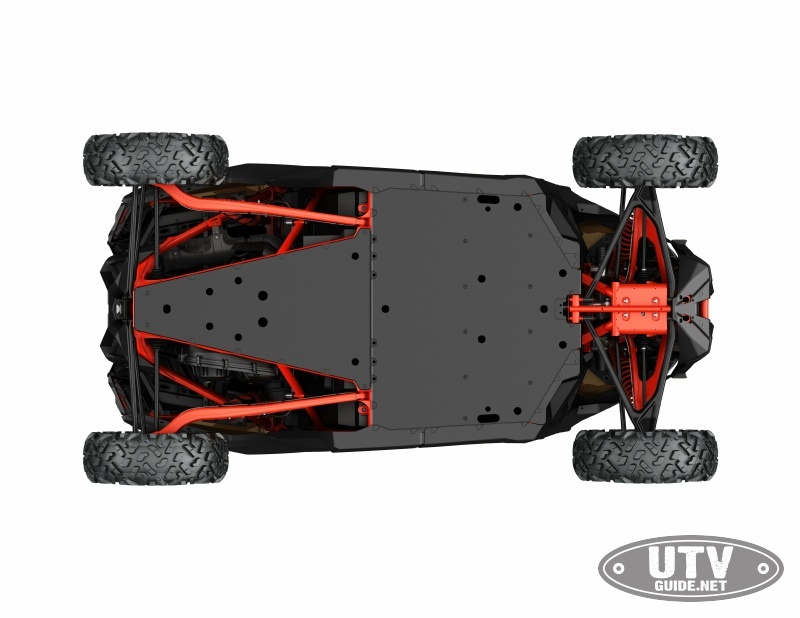 At 72-inches wide it is 10-inches wider than the RZR XP Turbo. 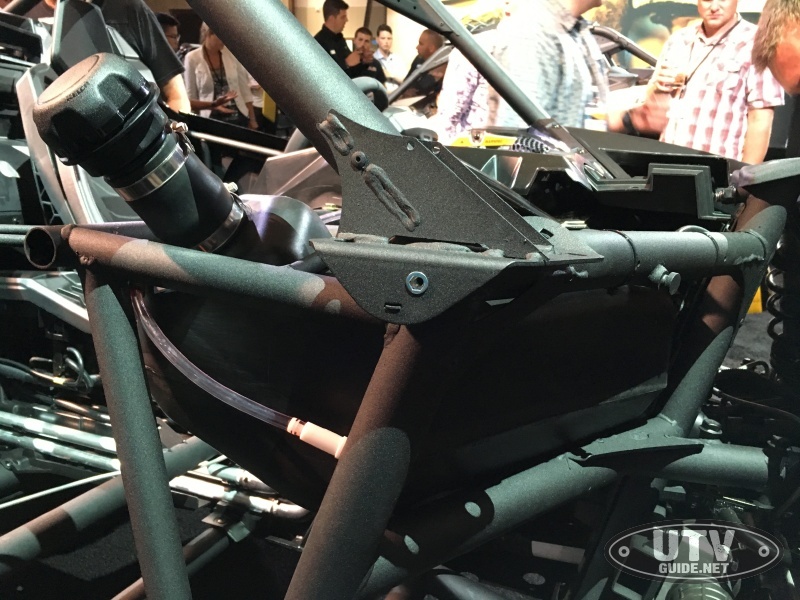 The extra width allowed Can-Am to get 24-inches of rear travel from an all-new 4-link rear trailing arm suspension. Up front the Maverick X3 has 20-inches of travel with FOX shocks all-around (2.5-inch up front and 3.0-inch Internal Bypass in the rear). 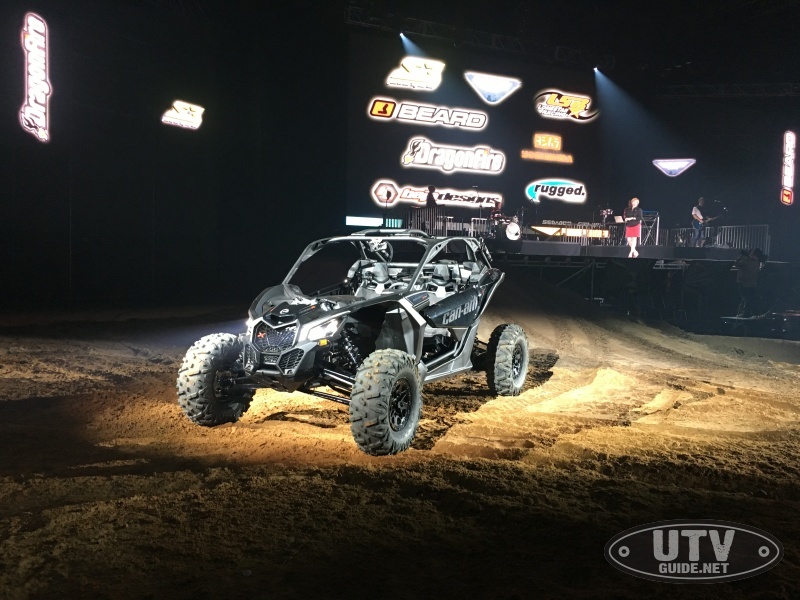 And for taming rough terrain, the Maverick X3 was stretched to a 102-inch wheelbase. That slots it nicely in between a 2-seat and 4-seat RZR. If you pay attention to desert racing, many teams have opted to run the four-seater RZRs over the last few years. This extra length really keeps the car settled in rough terrain, but does ad some weight to the platform. The X3 chassis might just be a great alternative. Many duners also prefer the 4-seat RZR over a 2-seat for the same reason. After the introduction at the dealer show, we were able to get up and close to the new X3 in the showroom hall. There were tons of dealers crawling over the new flagship Maverick as well, but I was able to see a few things that caught my interest. 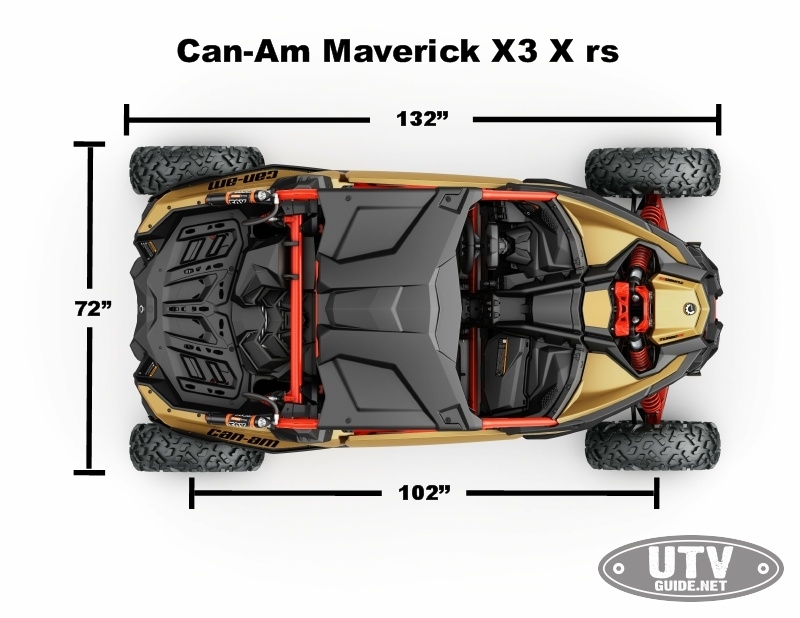 Looking at the specs, the dry weight of the Maverick X3 X rs comes in at 1585 lbs. That is about 90 lbs heavier than the RZR XP Turbo but not excessive since the X3 is bigger and has longer arms. Can-Am is using smaller, stronger tubing than they have in the past and claim weight savings and additional rigidity. The seating position of the X3 is much lower than previous models. The major reason for this is they moved the fuel tank from under the seats to in front of the passenger-side glove box. The new triple cylinder engine is now behind the seats which also helps with seat lowering and also with CVT belt changing. And there are additional seat mount locations which allows users to lower seats an additional 1-2 inches. The cage is different as well in the way it mounts to the chassis. A plate is utilized that bolts to the chassis. Aftermarket cage manufacturers will need to use a plate instead of weld-in bungs. You can also see the location of the fuel tank in the image above. Good size tank at 10.5 gallons, but it is definitely an interesting location in front of the passenger and in front of the glove box. Up front, the radiator is mounted up top to the shock mount and there is nothing to protect the radiator in a collision unless you add a bumper. 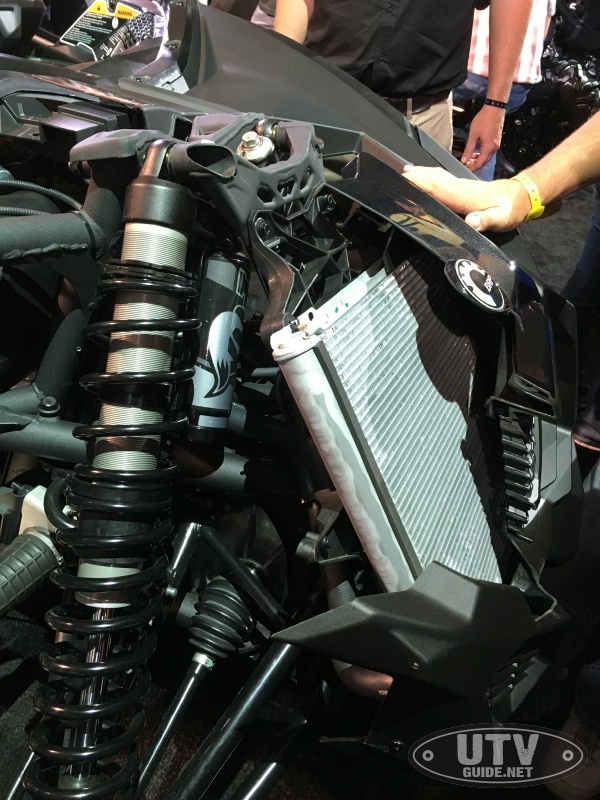 Intercooler is mounted behind the seats and is air-to-air instead of water-to-air like the Polaris RZR. 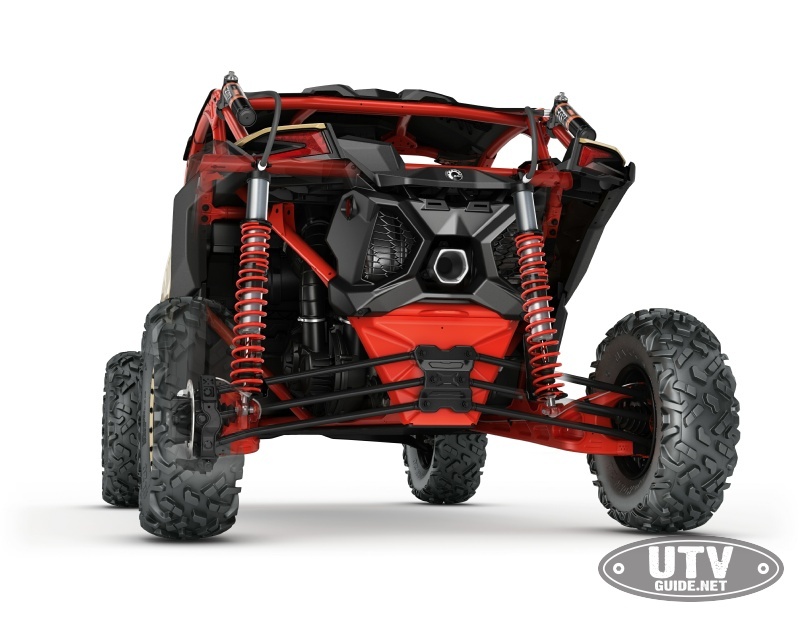 The positioning close to the engine helps keep turbo lag at a minimum and the air-to-air intercooler configuration is lighter and more simple than what is used on the RZR. 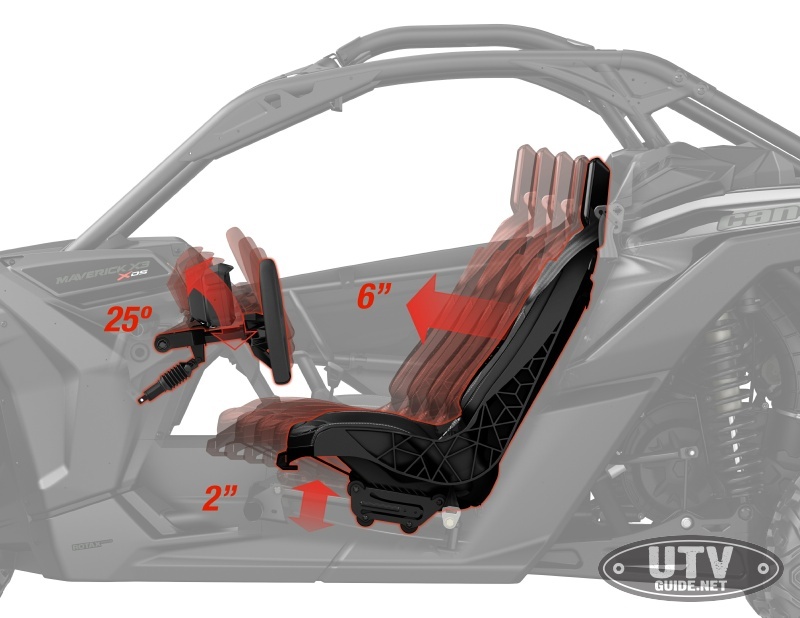 Behind the seats, BRP added mounting tabs for aftermarket harnesses and seats are slotted for proper harness routing. I also opened the cover between the seats which gives you access to the turbo. It looks super small, so expect some big horsepower gains once the aftermarket performance guys get their hands on it. The next morning, we got the chance to drive the new Maverick on a small test track near the Hyatt Hotel. It had rained hard the day before, and the track was very muddy. Plus the track was pretty small for such a large and powerful vehicle, but we made the best of it. The Maverick X3 X rs is big, but very proportional. The door opens with the tug of a strap up front by the a-pillar. Seating position feels much lower than original Maverick. It really feels like you are sitting in it like a sports car instead of on top. Visibility is improved over the original Maverick, but the dash and hood are big and extend well out front. The Maverick triple cylinder engine has a much deeper tone to it when compared to the naturally aspirated Yamaha YXZ1000R, which I liked. Acceleration off the line wasn’t as exhilarating as I would have expected, but in the 100-yard dash, it definitely gets with the program. The track did not give us an opportunity to test the suspension, but the car looks like it was designed with ugly desert racing terrain in mind. The Maverick X3 X rs comes with 30-inch Maxxis Bighorn 2.0 tires all around, and it appears that you could stuff 32-inch tires under it without interference. Overall, I am amazed with the new Maverick X3. 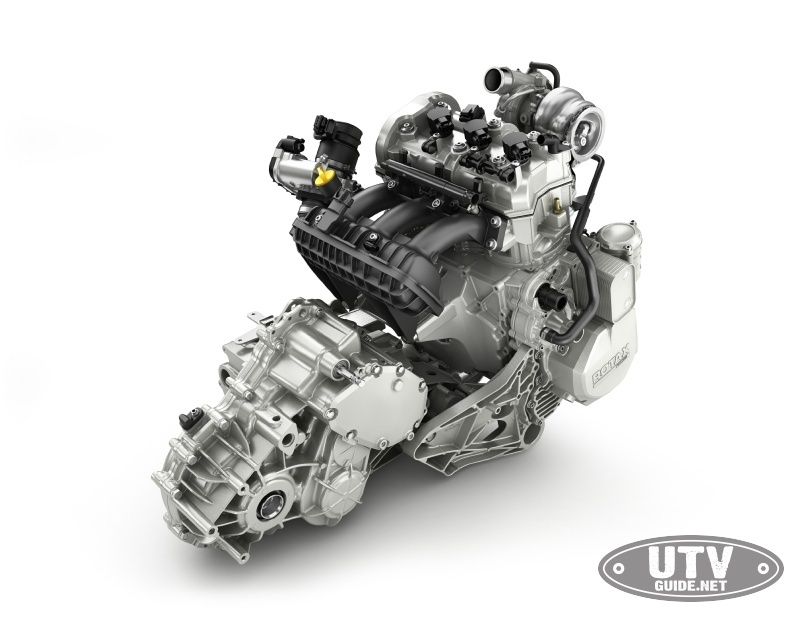 The line between UTV and buggy have been blurred and the only thing keeping the X3 in the UTV segment is the 900cc engine. Push that over 1000cc and it will be a buggy. Something which Can-Am is certainly capable of since derivatives of the engine that is used in the X3 come with over 1300cc. 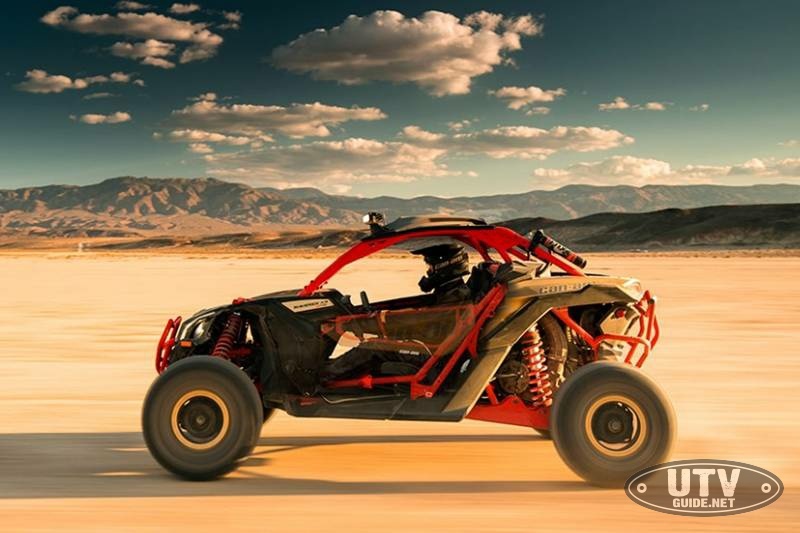 Make no mistake, the Maverick X3 X RS is built for open desert and dunes. Someone that rides in the forest or trails back east need not consider the X RS. Since I live out west, I am thoroughly excited about getting one. My only disappointment with it is the front differential. BRP chose to use their usual. Viscolock QE setup which does not work for serous rock crawling. Hopefully this situation will be updated in future models because I would love to see it race at King of the Hammers! 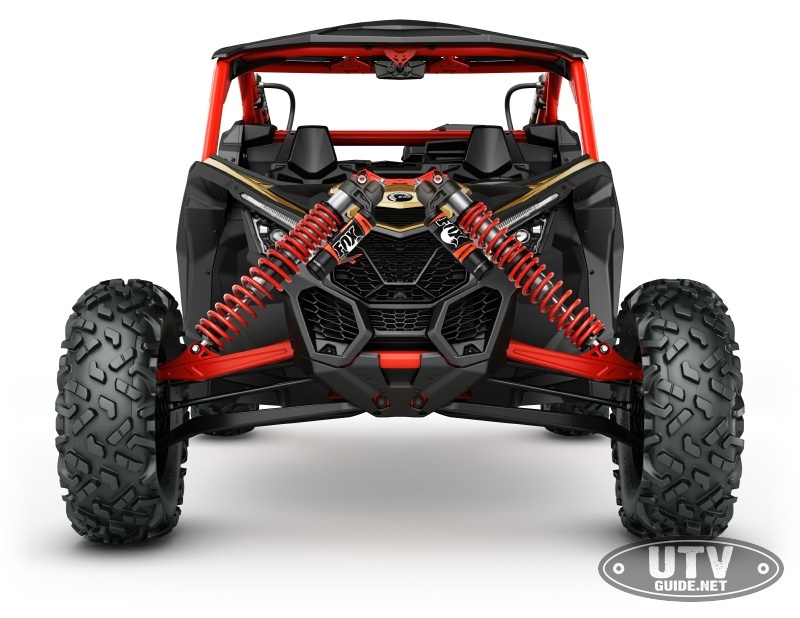 The Maverick X3 looks like a cross between the Wildcat, RZR and YXZ1000R.